We probably don't know all of the Pools in Malawi. Are you missing any? Contact us!. Swimia.com has the most up-to-date database on the net about almost any Malawi Swimming Pool. Classified by countries, regions and cities, it can be easy to find the nearest pool at the locations you visit. For Malawi, you can have a look at the pools we have gathered for you. 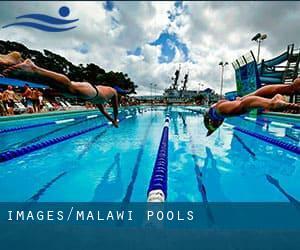 If you are looking for Malawi Pools, it is good to know numerous of them belong to gyms or sports centres which also give lessons. Get informed by calling the premises. Going to a Malawi Swimming Pool is increasing specifically within the elderly population sectors of Malawi, who have suffered some kind of muscle or bone damage. Are you on holiday and need to maintain fit and healthy? Swimia.com delivers you the easy and quickest strategy to discover Aquagym in Malawi near your present location. Not all countries are the exact same, and swimming rules and regulations are changing from one country to the other. 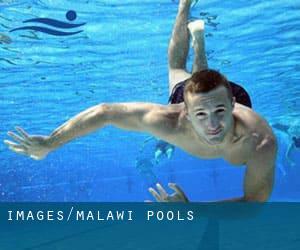 So, if this is your initial time looking for Malawi Pools, be sure to contact the premises prior to you drop by. One in the advantages of outdoor swimming in Malawi may be the possibility to sunbathe during the summer time season. Taking it with additional care, sunbathing is healthy because introduces Vitamin D into the body, so the very best option seems to be switching in between indoor and outdoor pools based on the season. Let us tell you a secret to switch off while you're in Blantyre: just choose a Pool in Blantyre and plunge into the water! There's no extra effective approach. Swimming is a fantastic idea to help keep your body active during your visit to Kasungu (Malawi), or perhaps when you are a local. Swimia helps you to discover your closest Pool in Kasungu. Whereas Lilongwe is one of the six most populous cities in Malawi with almost 646.750 residents, you shouldn't miss that one if you're going to Malawi. It's hard to visit Malawi devoid of dropping by Zomba (with 80.932 residents). Currently Swimia is showing you all the Swimming Pool in Zomba and also the closest pools located in its vicinity. Off Glyn Jones Road / Likuni Road , Lilongwe . Swimmers like you have reported 25 meters, 6 lanes, Outdoors. Also, you will find 25 yards, 6 (small) lanes, Outdoors. Just in case you wish to contact this Swimming Pool before dropping by, we only know the phone number. Johnstone Rd , Old Town / Area 13 , Lilongwe . This sports centre offers 25 meters x ~15 meters, Outdoors. For this Swimming Pool, only phone number is number here. Updated on 2019 This sports centre offers 25 yards x 25 meters, Outdoors. Updated on 2019 Off of the Mchinji Road , Lilongwe . This sports centre gives 25 meters, 7 lanes, Outdoors.